New apps come out daily; sometimes it almost seems by the hour. There are so many to choose from, but here are a few that shouldn’t escape your attention this week. For iPads, this app is a great way to brainstorm using pictures, text and other features. Grid allows users to select a number of squares out of an infinitely large grid to create a rectangular space of content. In these selected squares, the user can insert a photo, text, contact information or even a location. While I use only photos and text, these features have a possibility for a number of school or extracurricular purposes. 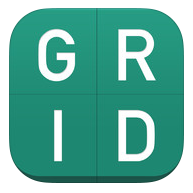 For me, Grid is a great resource to compile photos, art and design ideas for journalism. However, I can envision using Grid to brainstorm a project for a core class or to create a collage for a friend. A great feature of grid is the user can share an individual project with their contacts through email, so group projects can be corroborated through the iPads. Also, with AirDrop, one can simply project their iPad screen onto a whiteboard and discuss their brainstorming or present a project using Grid, which would allow an individual to create an unique project outside of PowerPoint. In my final semester before college applications are due, I can finally feel the test-stress setting in. My grades, my GPA, my everything – standardized tests included – counts now. I found SAT Up earlier this year and discovered multiple attractive features I didn’t find in other SAT practice applications. 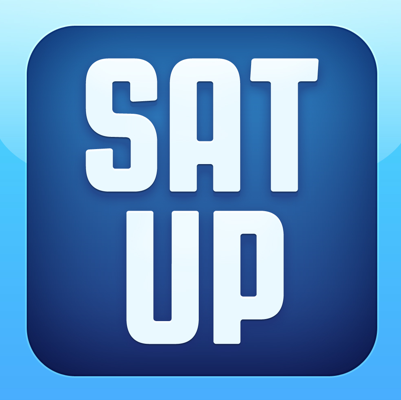 SAT Up has a handy approach that allows an individual to create a personalized test with anywhere from 10 to 20 questions with varying difficulty levels. This feature hooked me from the start because, with the app, I could practice just the math, English or writing section in whatever amount of free time I found. Not only does the app allow you to create your own tests, it provides feedback after you complete a section and remembers your scores to personalize future tests. One downfall with SAT Up, common with most great apps today, is that some features require paid upgrades. For example, question explanations, which are useful to review how to solve questions you miss, cost money after a number of free explanations. Also, practice tests over certain subjects within each subject test cost money. While some features do cost money, the app does create a study environment focused on progress, and this makes any time spent practicing feel worthwhile and productive. In this case, the negatives cannot outweigh the benefits of this SAT study app. 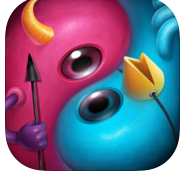 Even with mildly disturbing graphics, JOOL is as addicting as Candy Crush is cute. Similar to Doodle Jump in design, yet with a touch of Tiny Wings in aim, JOOL’s purpose is to keep the character bouncing over tiny platforms collecting gems and trinkets for as long as possible, with a catch. If you fall off, you don’t immediately die. Your character has two personalities; with the flip of the device, the character who just died morphs into an alter ego and the bottom of the screen becomes the top. Gravity reverses, and you fall back to safety. However, to even have the option to “flip” to safety, you must collect the right trinkets. This new spin on a classic arcade game accompanies a popping color scheme and mischievous, visually confounding “power-ups” that either increase your point intake or distort the scale of your character’s world. With each new turn, new graphics emerge to engage the player and keep the game entertaining. Emily Franke, an adolescent prodigy, holds a broad spectrum of talents. When she's not acing her AP tests, she's a flutist in the prestigious Rock Bridge Marching Band, or perhaps playing a rough game of lacrosse. Also, she is a rescuer of the black kittens Bon Qui Qui and Shaniqua which she cares for like a good mama cat would do. She bakes like nobody's business, putting any iron chef to shame. Her incredible writing on Bearing News fascinates the world. Keep an eye on this one, folks.